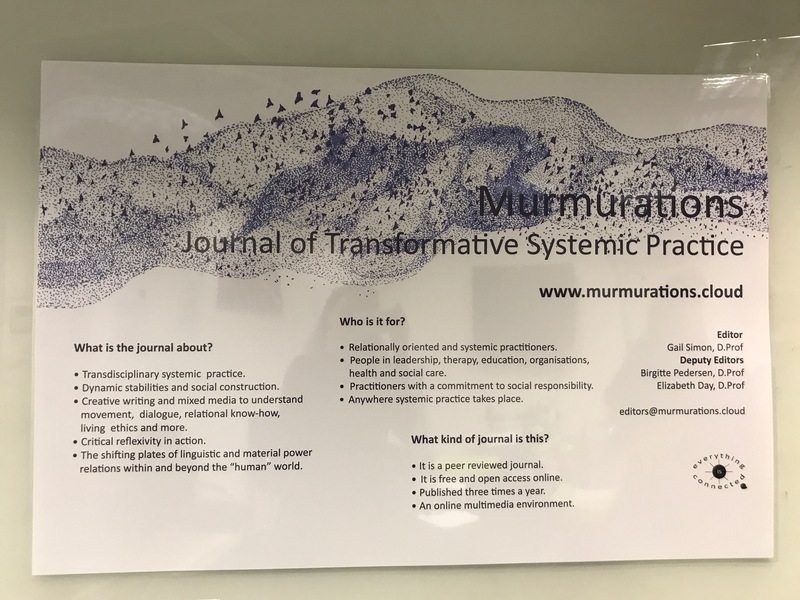 On Friday 24th of November, we celebrated the launch of the first issue of a new open-access journal of Transformative Systemic Practice, Murmurations. A murmuration is a flock of starlings -hundreds or sometimes thousands of them- flying together in a whirling, ever-changing pattern. In a murmuration the starlings seem to be connected together and change direction in a moment’s notice, in a coordinated manner. Murmurations is a journal about systemic practice in various disciplines. In the same way that the starlings’ murmuration is a system gracefully transformed in an instance, Murmurations is about transformative practice, movement and dynamic stabilities. In a murmuration, each starling is connected to the other starlings, and they are all connected to the same network. Murmurations aspires to connect systemic practitioners to a community, which treats creative writing and mixed media as forms of relational practice and dialogue. 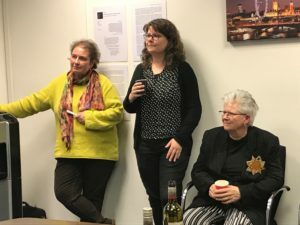 The journal’s editors, Gail Simon, D.Prof., Birgitte Pedersen, D.Prof. and Elizabeth Day, D.Prof., felt the lack of a journal for relationally oriented systemic practitioners, who speak from within their reflexive practice. This is how the idea for Murmurations was born, with the inaugural issue launched in October 2017. 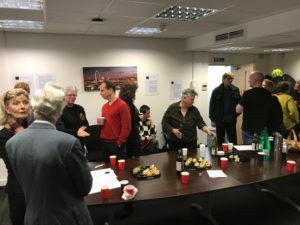 It was with great pleasure therefore that a large group of people gathered together in London on this Friday night to celebrate the first issue of this transformative journal. The evening had it all: impressive video, moving stories, laughs, interesting conversations, great food and wine! If you want to see a murmuration, watch this amazing video from vimeo.